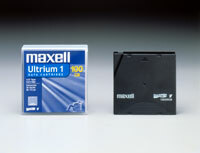 Record it-so you can play it wherever and whenever you like! 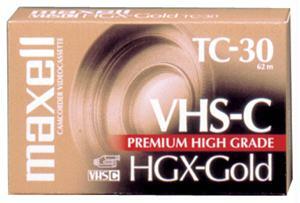 The high grade detail of this VHS-C cassette provides outstanding picture and sound quality. 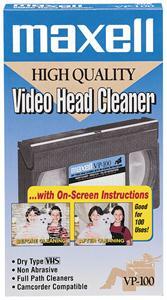 Ideal for full-feature stereo VCRs and recording from full-size camcorders. Maximum Recording Time: 30 Minutes. Post-Consumer Recycled Content Percent: 13 %. Total Recycled Content Percent: 13 %. 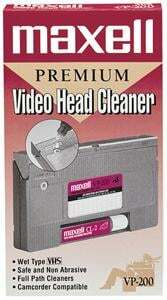 Catalog Publishing Type - Cassettes-Video. GL09 Page Number - 307..
UnbeatableSale.com offers the most incredible deals on the latest furniture, electronics, gifts, health, and baby items. 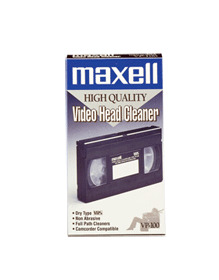 Buying MAXELL 203010 VHS-C Video Tape Single 203010 through an authorized dealer such as UnbeatableSale.com is the only way to ensure its quality and authenticity. Our everyday marked-down price is $94.50, $4.73 less than the retail price you'd pay at most stores. Can't decide? UnbeatableSale.com gift certificates are always just right! UnbeatableSale.com uses Secure Socket Layer (SSL) technology to encrypt all of your personal information before it travels over the Internet, so your payment information is always 100% protected.